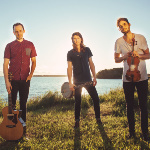 With dexterous playing allied with rousing energy, The East Pointers are shaking fresh life into Canadian Celtic folk traditions and taking them to a whole new generation of listeners. Banjoist, biologist and lobster fisherman Koady Chaisson and fiddler (and successful singer/songwriter on the side) Timothy Chaisson are cousins and belong to Prince Edward Island’s foremost musical dynasty. Their fluid ensemble playing and command of a vast repertoire is testament to seven generations of music-making in their family. 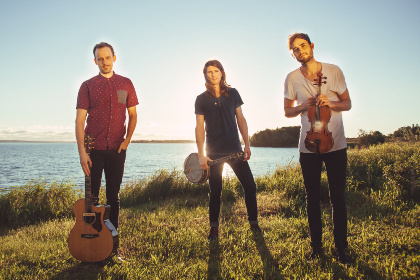 Ably augmented by Ontario-born guitarist Jake Charron, himself an in-demand accompanist for many leading artists, The East Pointers have quickly established themselves as a world-class live act. The release of their debut album Secret Victory in 2015 brought them several awards and set them on a breathless touring schedule through Canada to Australia, Norway and the UK.